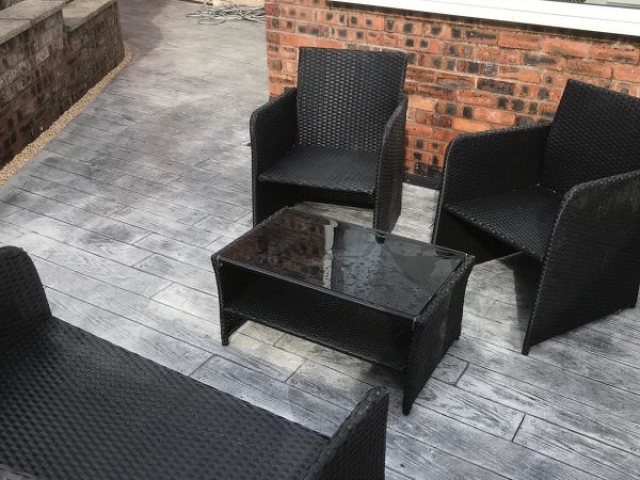 Thinking of a new patio in Wythenshawe? The summer of 2018 has been a scorcher! The Met office says that it was one of the hottest Britain has had in a long time and the Northwest of England was no exception. 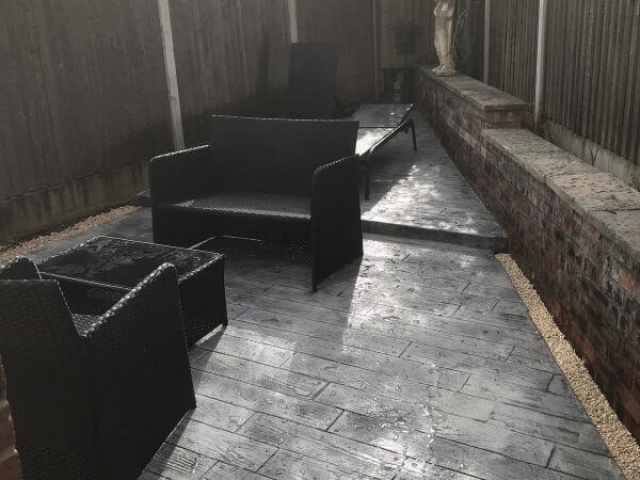 We have enjoyed long balmy days with more time spent in the garden either sunbathing, cooking on a barbecue for the family or simply relaxing with a cool beer or glass of wine! 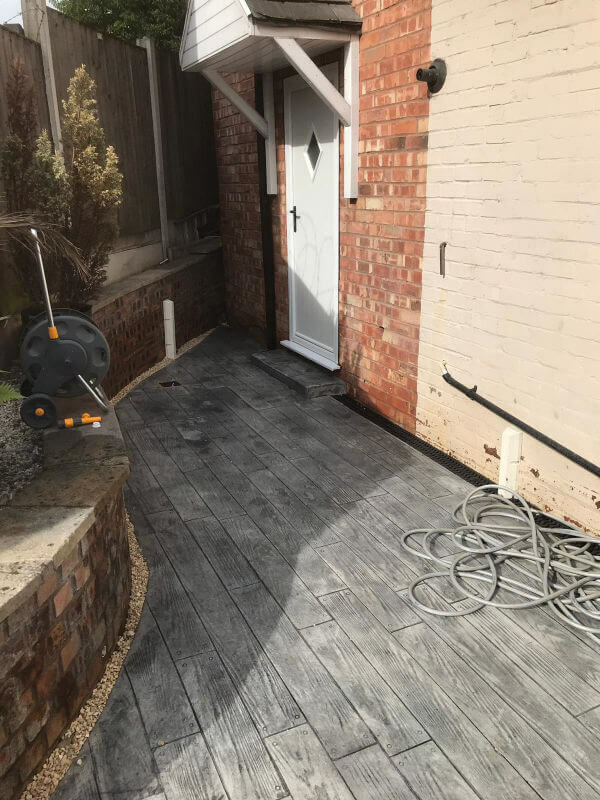 But spending so much time outside usually means that you start to notice areas of your garden or living space that need a little work. 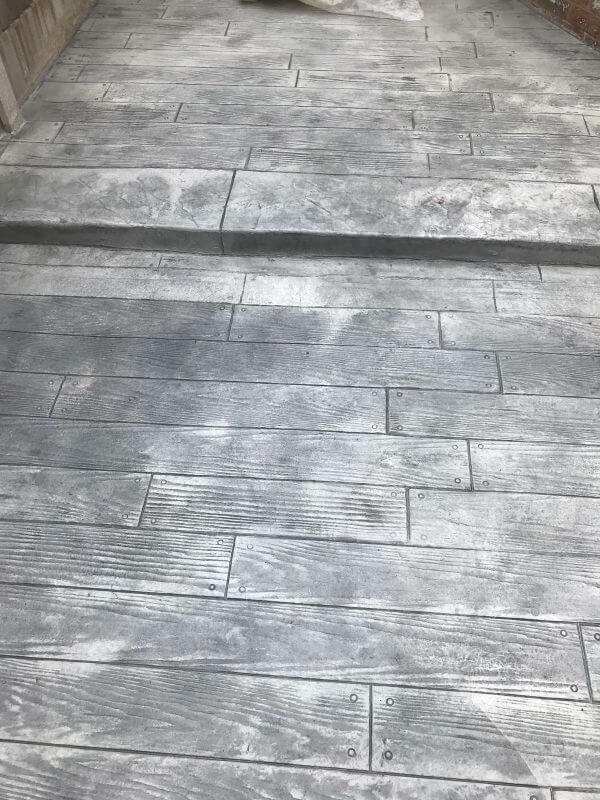 May be the patio is looking a bit tired or is past it’s best. 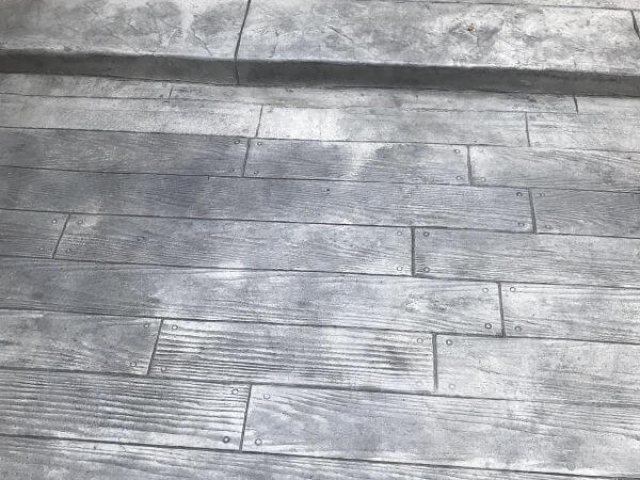 You might have decking that is beginning to rot, or you may have been thinking of having a patio but never got around to it. 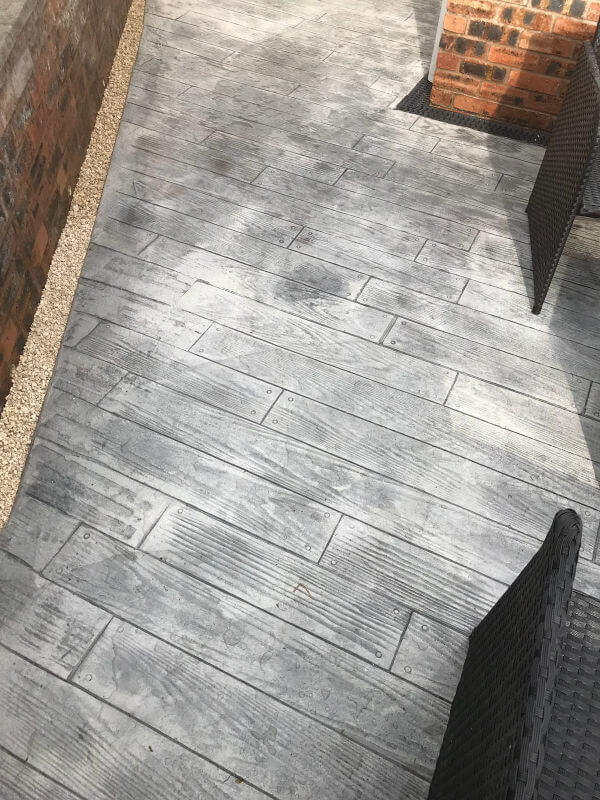 Having a patio installed is a great way to make your outside space more functional and enjoyable in the summer months. 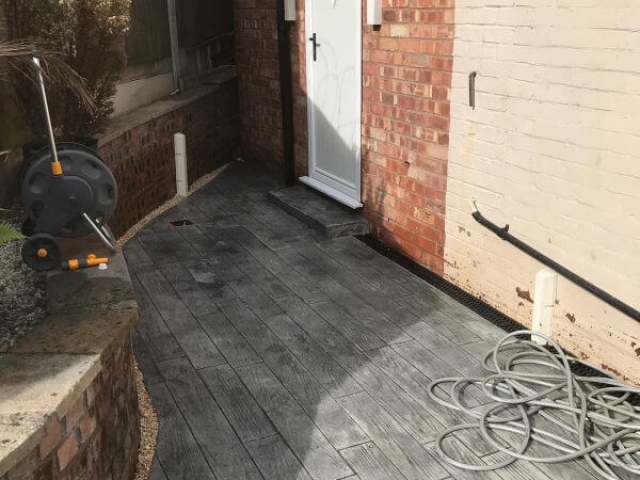 Having a new patio in Whythenshawe is also an affordable way to add value to your house and make it more saleable should you ever decide to move. 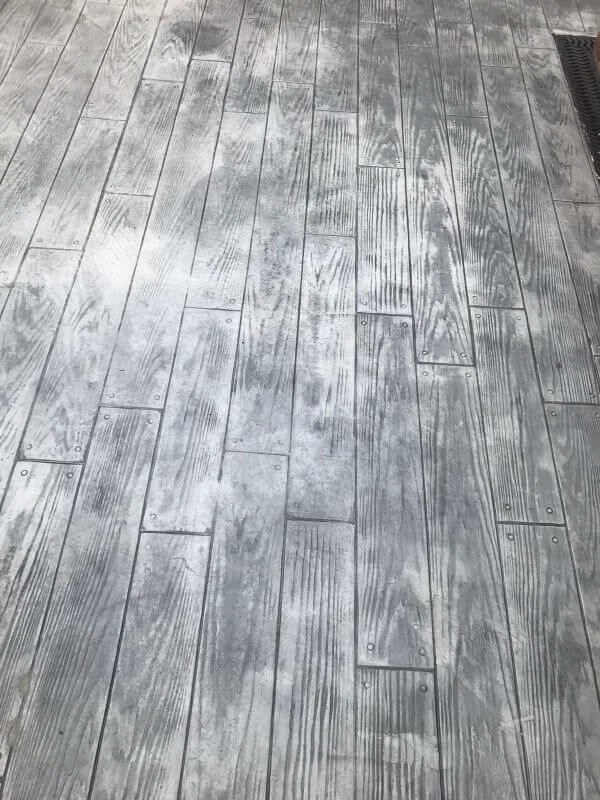 A recent client of Planet Surfacing saw the advantages of having her patio redone. 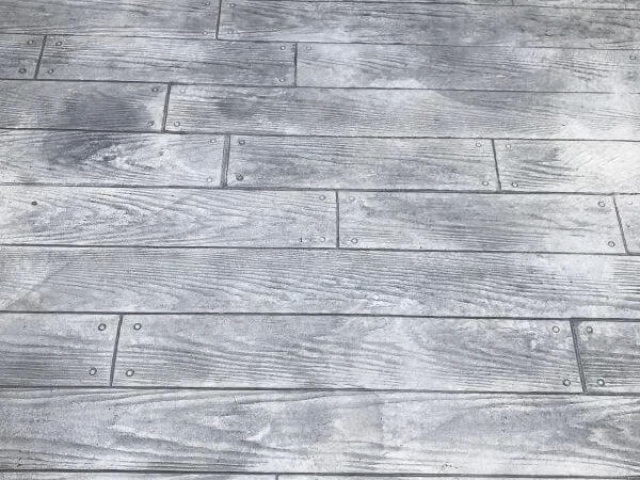 She opted to have 6 inch wood plank print coloured in silver and classic grey release. 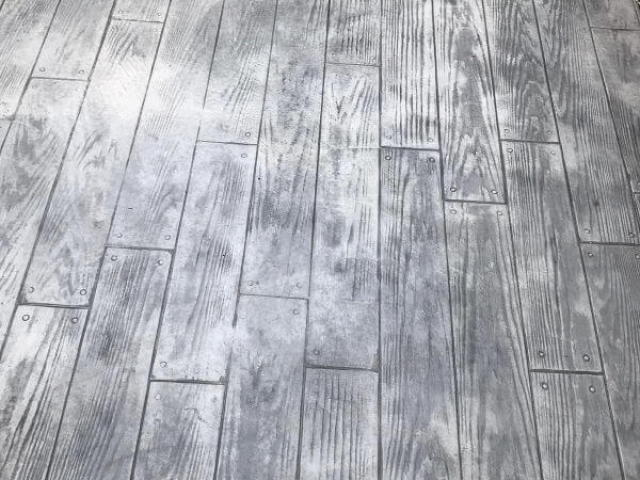 You can see the stunning results from the photographs included. 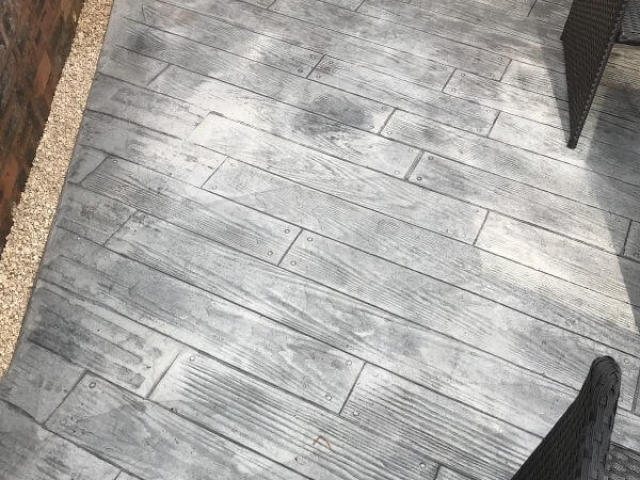 However, before we could install it, we had to remove the original block paving overlaid in resin bound aggregate which had originally been put down. 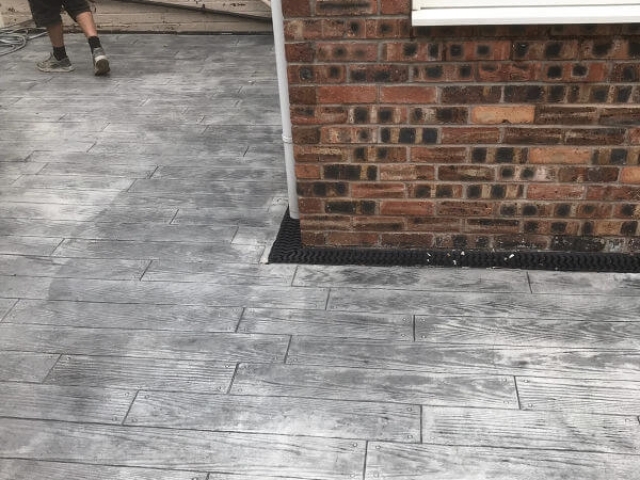 Resin is becoming popular but unfortunately a lot of the time it is not laid correctly and as a result many of the projects we are doing require us to first of all pull up and remove the block paving. 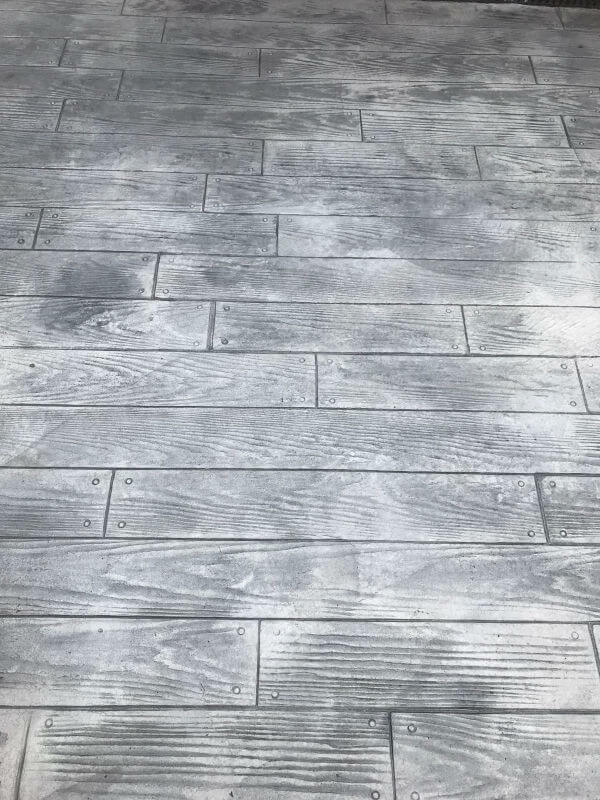 While it is a great product if installed correctly, overlays are not the answer. 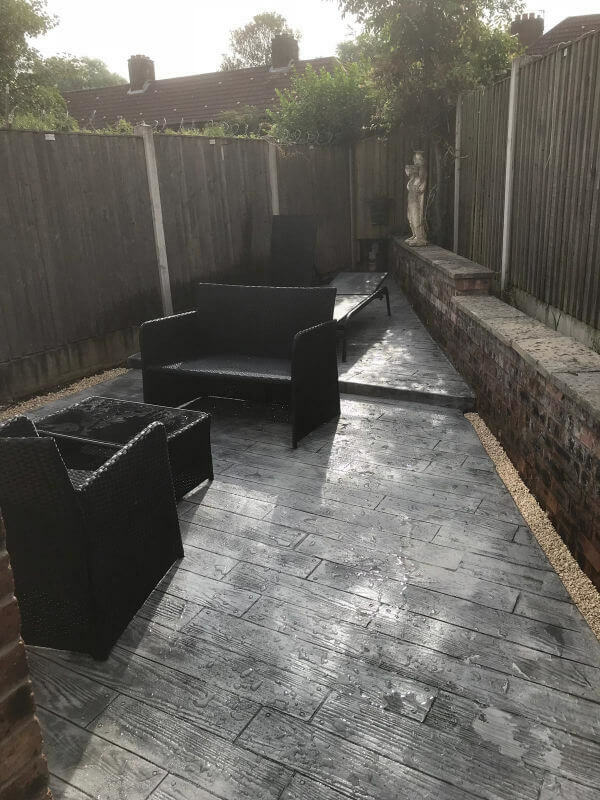 Our client is really happy with the results and loves her new patio in Wythenshawe. She has managed to enjoy a great summer in the garden and is looking forward to doing the same in 2019. 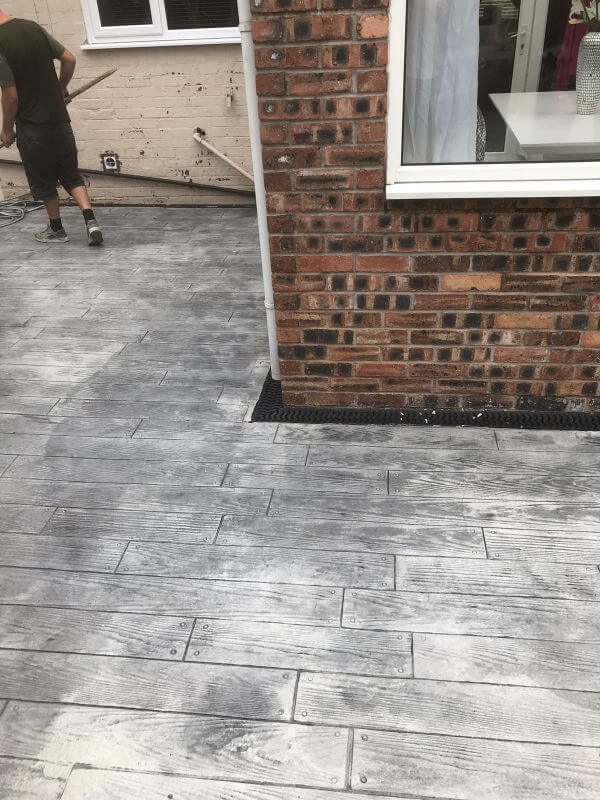 Planet Surfacing are experts in building new patios in Wythenshawe. 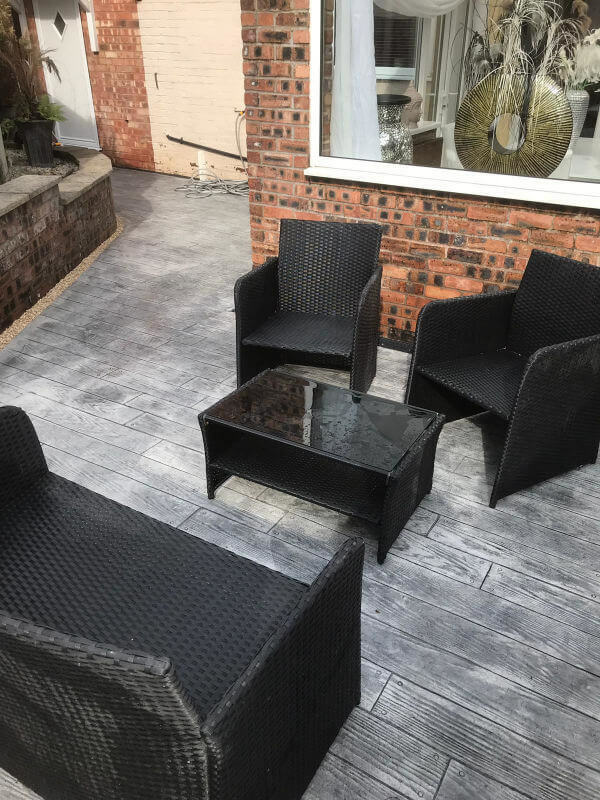 For more information give us a ring today on 0161 9451 208.